Immerse yourself in a breathtaking Alpine wonderland on this guided day trip from Interlaken to the Top of Europe. Travel by coach through the Jungfrau region to Grindelwald, and take the cogwheel train up the Jungfraujoch pass to arrive at Europe’s highest railway station. Soak up a stunning panorama of snowcapped Alps, spot Europe's longest glacier, and walk through the one-of-a-kind Ice Palace! 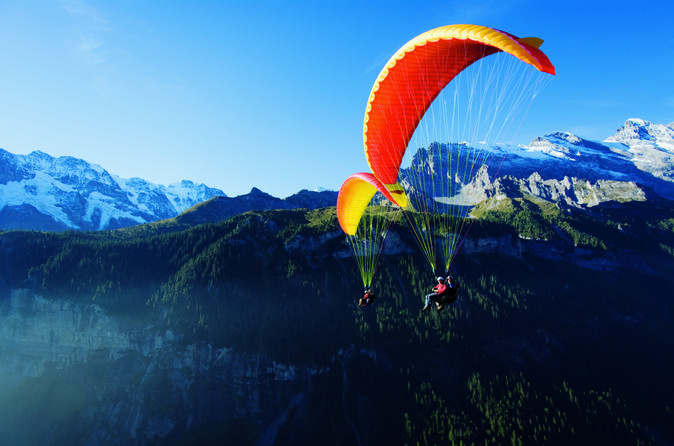 Fly high on rising thermals and enjoy bird’s-eye views over the Swiss Alps on this 1.5-hour paragliding experience from Interlaken. Travel out of the city to Beatenberg in the foothills of the Swiss Alps. Following a full safety briefing, strap into your glider in tandem with your guide and soar though the skies. Take in panoramic views over Lake Thun and the snow-capped peaks of the Eiger, Mönch and Jungfrau mountains. Enjoy personal attention from your guide on this small-group tour, limited to 10 people. Explore the forest trails of the Bernese Alps in style on this 2.5-hour monster scooter mountain tour from Interlaken. Travel out of Interlaken to the mountain town of Isenfluh with your guide. Take the cable car up into the high Alpine plateaux at Sulwald and enjoy panoramic views over the mighty Jungfrau peak. Ride your monster scooter through Alpine meadows and along forested trails, taking in the amazing valley scenery. Upgrade your tour and finish your descent the Swiss way, with a traditional cheese fondue dinner in a mountain restaurant. 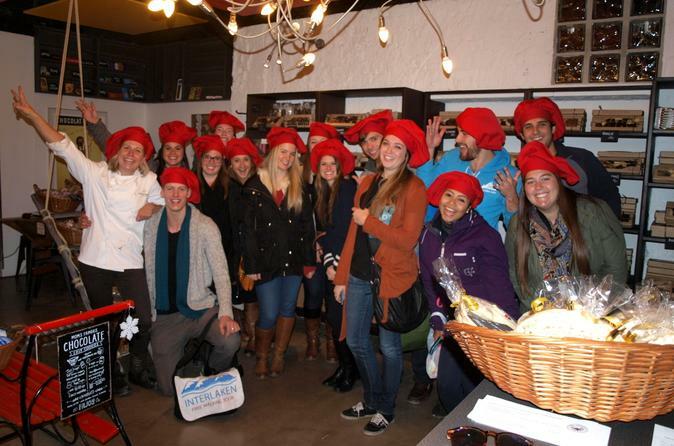 Discover traditional Swiss culture on this 3-hour food and culture walking tour of Interlaken. Follow your guide through Interlaken on the public transport system and gain insight into Switzerland’s rich culture, history and traditions. Visit a dairy farm to see how local cheese and milk is produced, then watch a woodcarver at work and admire traditional Swiss handicrafts. You'll also taste delicious Swiss chocolate at the Funky Chocolate Club. Enjoy tasting sessions along the way and personal attention from your guide on this small-group tour, limited to 15 people. At only ten minutes away from the base in Interlaken, this beautiful canyon gives a feeling of being back in nature as you travel through the narrow gorges, jumping, sliding and rappelling down rocks and waterfalls into pools of water. This canyon has a lot of action over a short stretch and is a great introduction to canyoning so it is a good option for those who are short on time. 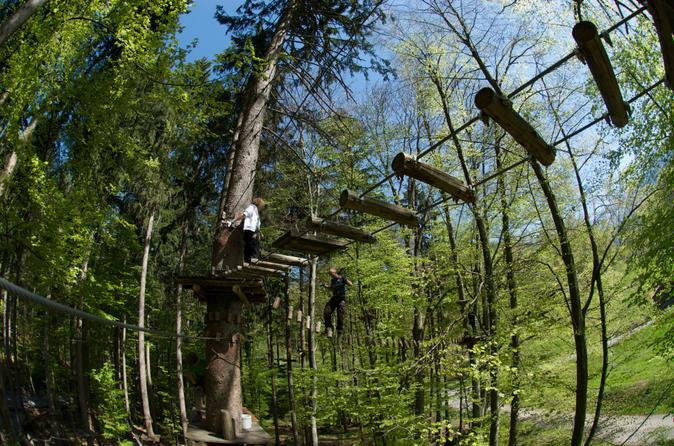 Take your vacation to new heights with this independent high ropes activity experience at the Seilpark in Interlaken. Following a training session with a professional guide, head into the forest and make your own way around the park’s nine different courses. Set your adrenaline pumping with wires that dangle 66 feet (20 meters) above the ground, and put your skills to the test with more than 100 different challenges to choose from. 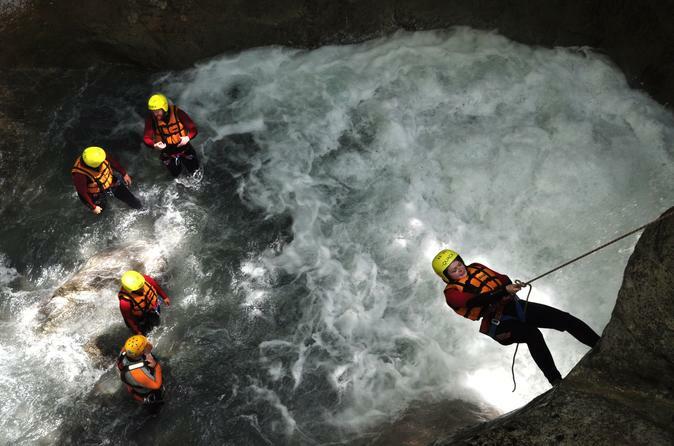 Enjoy an introduction to the sport of canyoning in the Swiss Alps on this half-day canyoning experience from Interlaken. Travel beneath the soaring peaks of the Jungfrau, Mönch and Eiger mountains to the local canyon, just a short drive from Interlaken itself. Climb into your wetsuit and safety gear, then get up close to nature as you float, leap, abseil and splash through a series of rock jumps, plunge pools and natural chutes. Enjoy personal attention from your guide on this small-group tour, limited to 13 people. 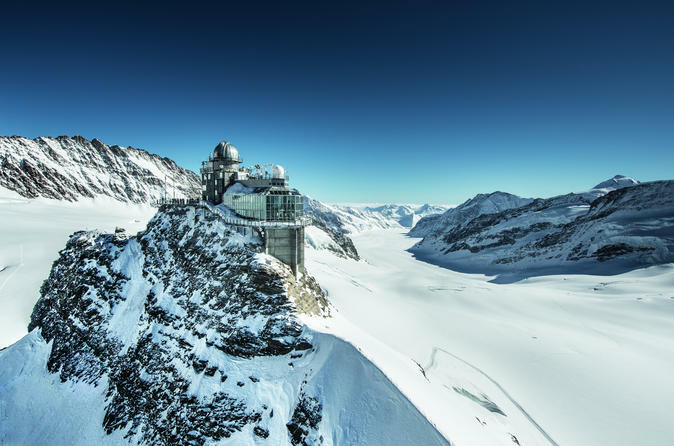 Spend a day in the mountains on Jungfraujoch - Top of Europe with your private tour guide, just you and your guide! Travel from Interlaken via Lauterbrunnen to Wengen, the alpine and car-free village, where the world's known "Lauberhorn" downhill ski race will take place every year. Continue to Jungfraujoch - Top of Europe on 11,333 ft (3,454m) above sea level. 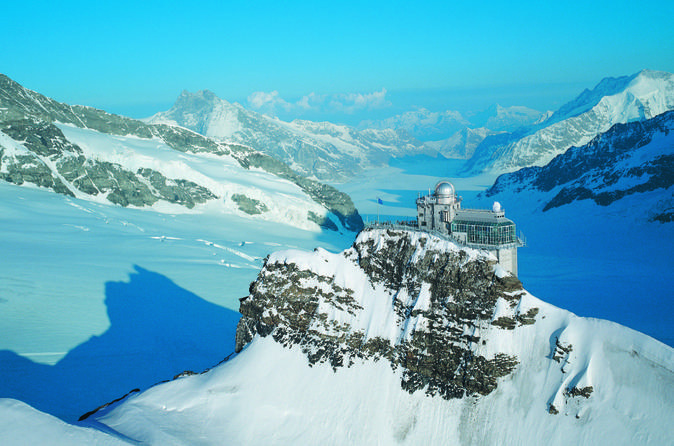 Discover the Sphinx terrace, the Ice cave and the snow park on the glacier and the chocolate world of "Lindt". 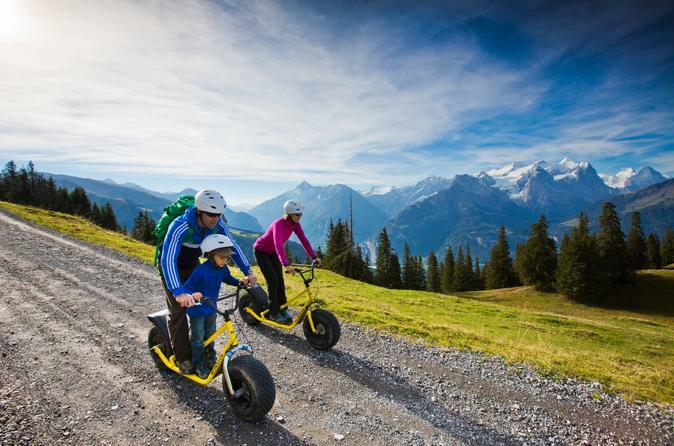 Get your adrenaline fix and revel in the postcard-perfect scenery of the Bernese Alps on this 3-hour gravity scooter mountain tour from Interlaken. With a guide, travel through the pristine Alpine landscape of the Bernese Oberland, and then embark on a short cable car ride from the valley town of Lauterbrunnen to the Grütschalp plateau. 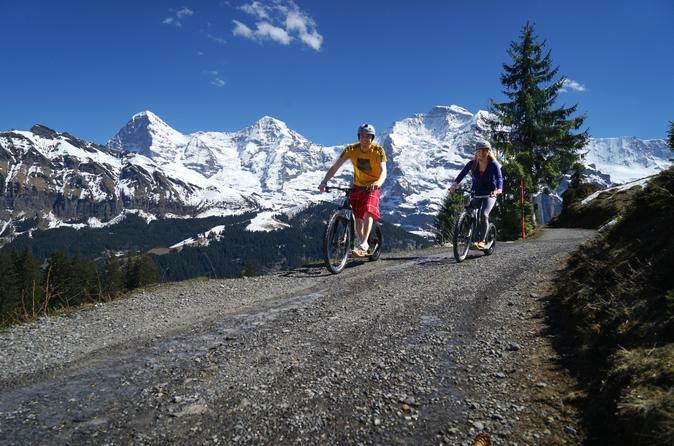 After soaking up views of the UNESCO-listed Jungfrau region, set off along the mountain trails and feel the thrill as you make the 2,625-foot (800-meter) vertical descent back to Lauterbrunnen. 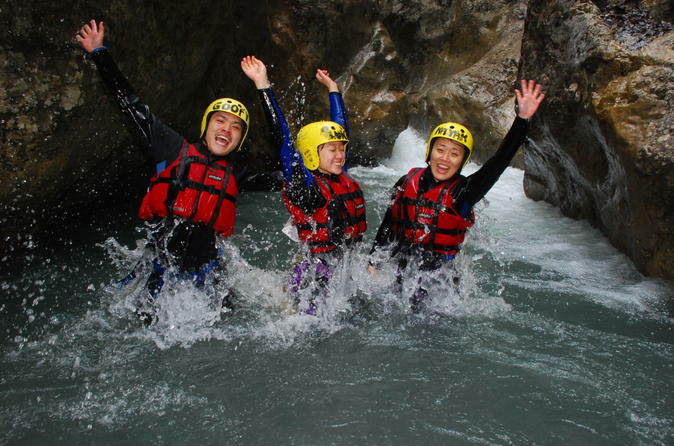 Test your nerve against the might of the Swiss Alps on this full-day canyoning trip to Chli Schliere from Interlaken. Travel into the wilds of the mountainous Swiss countryside with your guide. Jump off high canyon sides through tumbling waterfalls, splash through swirling plunge pools and enjoy plenty of adventurous thrills and spills. Clamber over the rocky terrain and slide down natural chutes, then replenish lost energy with a light lunch at the end. Enjoy personal attention from your guide on this small-group tour, limited to 13 people.